The beech flavour gives off a moderate to heavy smoke and comes in a re-sealable bag. Excellent for smoking fish, pork and game. 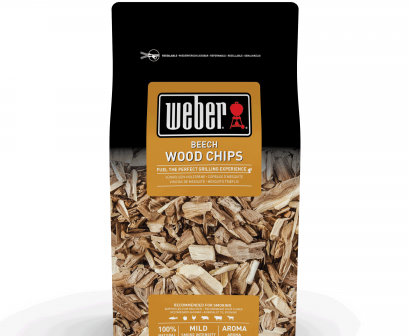 Beech wood chips deliver a moderate to heavy smokey flavour for those who love strong aromas. Ideal for use with fish, pork and game these chips now come in a 0.7kg re-sealable bag to keep them fresher for longer. Can be used both on top of charcoal, in a charcoal kettle barbecue or within a smoker box.